Wycombe Air Park (EGTB), also known as Booker Airfield, is more than just a place where aircraft land and take off. It's also a great place to relax with family and friends. We offer quality flight training for both pleasure and commercial goals. 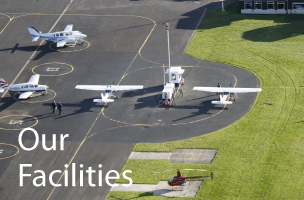 We look after more than 200 aircraft for club members and other airfield users including gliders, rotary wing aircraft and vintage aircraft such as Tiger Moths. There's also the Approach Plate Cafe which offers snacks, drinks and full meals and we also sell supplies for pilots (maps, log books, headsets etc). 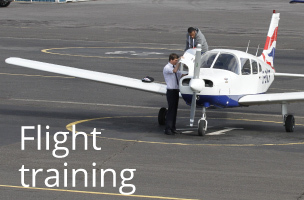 If you are interested in visiting the airfield, learning to fly, aircraft rental or giving a trial flight as a gift experience, or, if you are interested in modular commercial training then this is the place for you. Please note night flying will take place on a ad-hoc basis when ATC staffing allows, contact us for more details. Times subject to amendment by NOTAM. Whether you are looking to fly-in for a cup of tea or base your aircraft here with hanagrage, Wycombe Air Park has the facilities for you. Whether you are looking to fly for fun or train for a career, Booker Aviation has a solution for you. Conveniently based in High Wycombe, South Bucks. 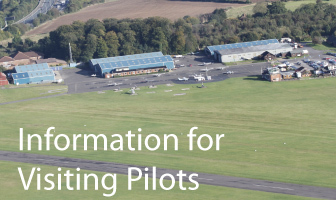 Find out everything you need to know when visiting Wycombe Air Park, from Noise Abatement Procedures to radio frequencies it's all here.